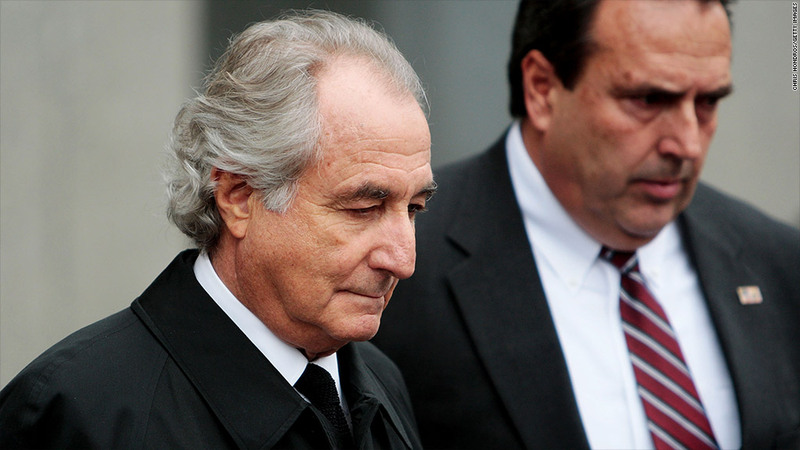 The New York Attorney General has reached a $210 million settlement with Ivy Asset to recover money lost to Ponzi schemer Bernard Madoff, at left. The New York Attorney General said on Tuesday that he reached a $210 million settlement with Ivy Asset Management, which is accused of steering clients to invest with Ponzi schemer Bernard Madoff. The office of A.G. Eric Schneiderman said the settlement will recover most of the $236 million that hundreds of third-party clients lost by investing in Madoff's now-defunct financial firm, which was a front for a sweeping pyramid-style scheme that ultimately snagged thousands of investors and billions of dollars. The third-party clients didn't have federal protection of their investments and have received no recovered assets from court-appointed trustee Irving Picard. "Ivy is pleased to have reached an agreement that allows it to put these matters behind it," said Douglas Squasoni, chief restructuring officer for Ivy Asset Management, a subsidiary of the Bank of New York Mellon (BK). The clients had paid Ivy $40 million in fees to conduct due diligence on Madoff's firm from 1998 until 2008, when Madoff's scheme collapsed with his Dec. 11 arrest. Three months later, he pleaded guilty to running a massive Ponzi scheme that had persisted for decades. He was sentenced to 150 years and is currently incarcerated at a federal prison in North Carolina. Ivy conducted business with Madoff even though employees had "deep but undisclosed reservations" about his firm even before his arrest, according to Schneiderman. The A.G.'s office noted that an Ivy principal had referred to Madoff as a possible "fraud" in an internal email sent before his arrest. The A.G. settlement applies to third-party investors who invested their money in a feeder fund, rather than investing in Madoff's firm directly. Picard has recovered more than $9.2 billion of the $17.5 billion in funds stolen by Madoff that his firm is trying to track down. Correction: An earlier version of this article reported that Picard recovered $24 million for Ivy investors. In fact, the parties to that settlement were direct investors with Madoff.